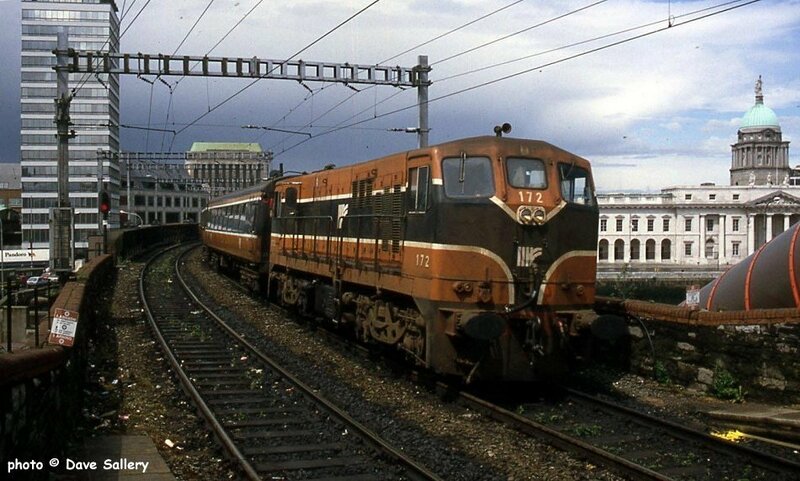 172 crosses the Liffey bridge and enters Tara Street station, 6 July 1994. 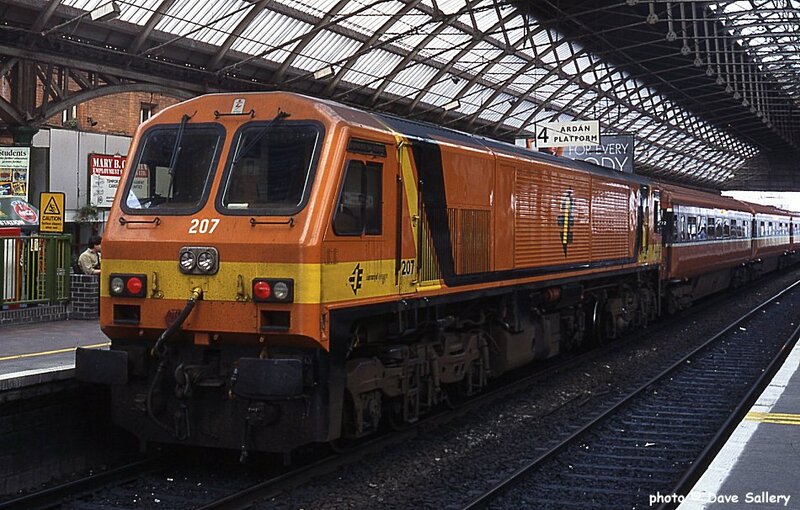 The 2600 class were the first of the new railcars and entered service in 1993/94. 17 vehicles were built by Tokyu Car Corporation in Japan. 2607 is seen at Tara street, 6 July 1994. 147 on a suburban train, 6 July 1994. 'A' Class No. 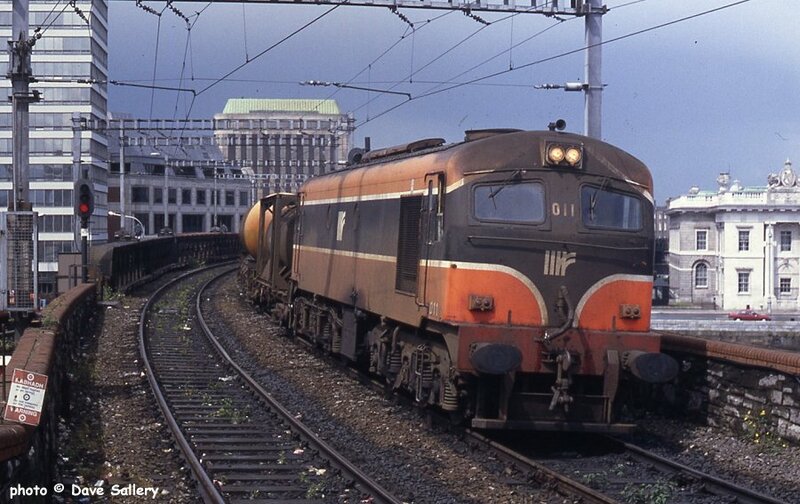 011 crosses over the Liffey and approaches Tara St. station, Dublin, 6 July 1994. 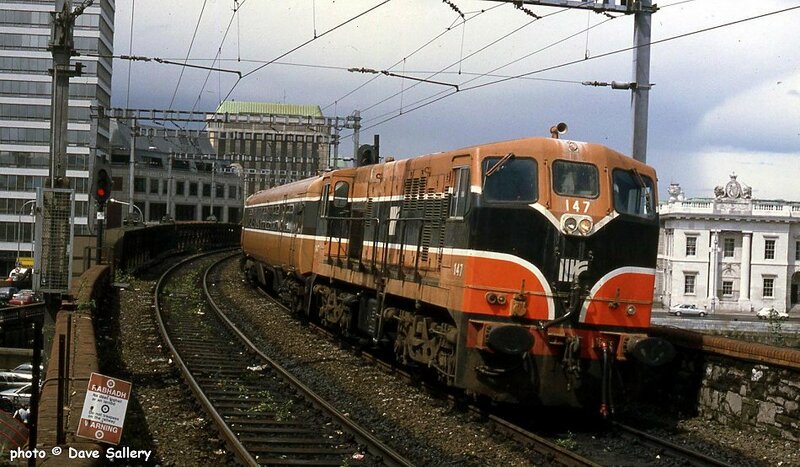 The train was the daily ammonia working from Cork to Arklow. 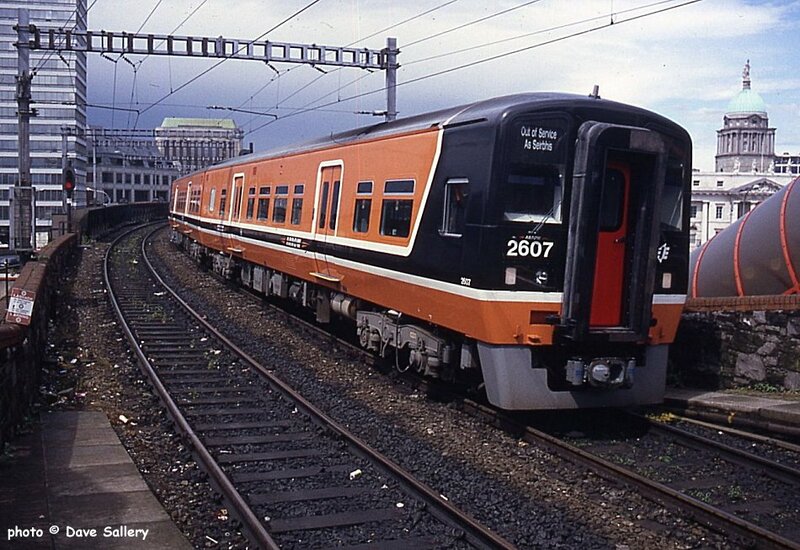 207 on the rear of a push pull working at Pearse station, 3 September 1996. This station was formerly known as Westland Row.